When life was simpler, and many branches of extended families lived close together, new parents often had access to a large network of experienced adults. This network would lend a helping hand to help families raise their kids. The network could be counted on for almost anything and everything, including caring for babies, coaching parents and passing along proven techniques to encourage kids to read or find a way to make basic math interesting. I know for a fact that life is more complicated now. Families are more spread out. Retirement may be delayed, affecting grandparents' availability. Parents may be struggling to manage two, or even three, jobs, or school, while taking care of their children. That's why I have been an avid supporter of various home visiting programs that are available in hundreds of communities across the country. Evidence-based home visiting programs, supported through the federal Maternal, Infant and Early Childhood Home Visiting Program (MIECHV), help parents in their most important role of teaching and caring for their young children. Let me share with you just one of the many success stories. When her daughter turned three, Erica Black felt reaching out to Home Instruction for Parents of Preschool Youngsters (HIPPY) was the right fit. HIPPY works with families in the home to support parents in their critical role as their child's first and most important teachers. In fact, three of Erica's nieces had been in the program, and she knew it helped them. Erica's trained home visitor was literally her next door neighbor! Erica says HIPPY helped her understand how to push Taylor to learn in a smart way. HIPPY got the young girl excited about reading, and she hasn't stopped. Taylor was able to skip a grade and always makes the honor roll. Erica credits HIPPY for this success. 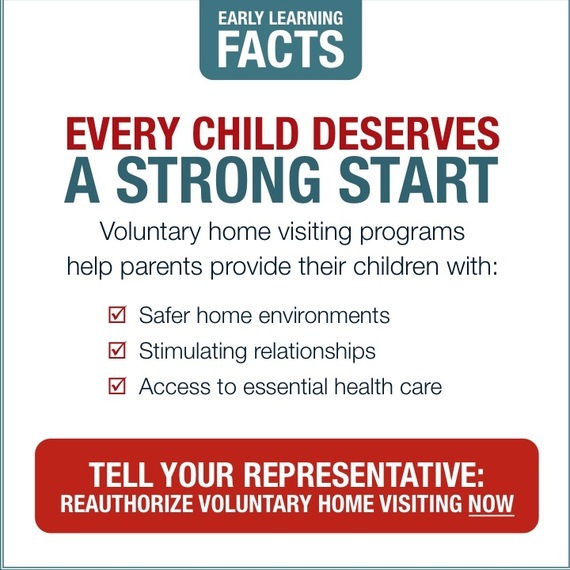 Home visiting programs such as HIPPY are supported by local nonprofits, local and state governments and partly through MIECHV. Today, members of Congress are receiving a letter from supporters like me who know the value these programs bring. Science demonstrates that evidence-based home visiting improves prenatal and birth outcomes, early child health and development, greater school readiness, improved parenting practices and reductions in child maltreatment. These outcomes can produce a significant return on investment for state and federal government. Several studies have found that evidence-based home visiting saves scarce resources. A 2005 RAND Corporation study found that two evidence-based home visiting programs saved from $1.80 to $5.70 per dollar invested. MIECHV is a wise investment and a good use of taxpayer money. This is why states have embraced it as a sensible solution to the health, educational and fiscal challenges we face. Our elected leaders in D.C. have to make a lot of important decisions, including decisions about how to spend our tax dollars in a wise manner. It's good to know there are programs before them that make such a difference as home visiting did for Erica and her daughter.